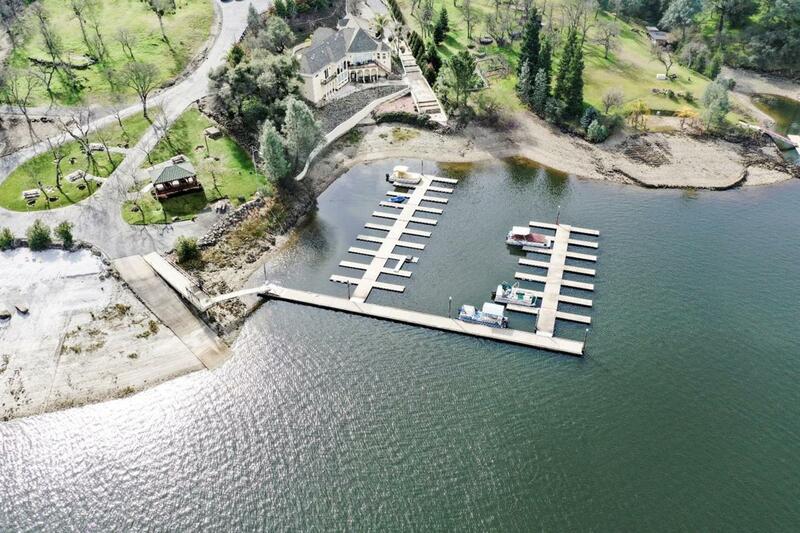 Pictureque buildable parcel over 9 acres with unsurpassed VIEWS of Lake Tulloch and the sierra's. Located in the subdivision of Jack Black Bluffs. Driveway is cut in and has to building spots cut out. Boat launch, docks and deeded boat slip #28 is included. Enjoy the little beach and park with covered tables and BBQ area. Very private property and gated community makes this a must have, to build your dream home. Ask me about a construction loan!